My cousin will soon be graduating from college and is planning to work in a professional, corporate casual setting in New York City. She asked my advice on creating a professional wardrobe, so asked for help from my blogger friend and capsule wardrobe expert, Shelbi Samuelson. For those that aren’t familiar with a capsule wardrobe, according to Wikipedia: “A capsule wardrobe is a collection of a few essential items of clothing that don’t go out of fashion, such as skirts, trousers, and coats, which can then be augmented with seasonal pieces.” Shelbi came up with a go-to list of starter pieces for a professional wardrobe. 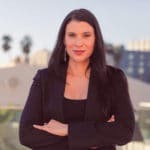 When making any professional transition in your life whether it’s graduating from college, going back to work after having a baby or getting a promotion, you should consider having these core pieces in your professional wardrobe. To get started, I have set up a list of high quality items that you should consider buying to last you a few years in your professional career. 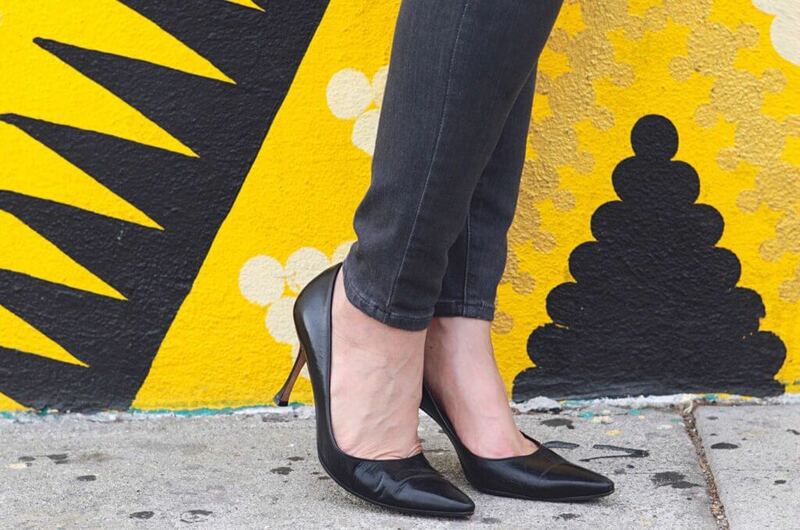 Classic Black Pumps for the Win. This shoe should be the best quality that you can afford with your money. It’s always worth spending the money on a great “power pump” that makes you feel like you own the room while leading a meeting or presentation. It should not be trendy, but should be more conservative and if it’s stellar quality, it will probably last you about ten years, or even more. Make sure to choose a classic closed toe pump that looks good in a professional setting, it can even be worn out for cocktails, dinner, or even date nights. 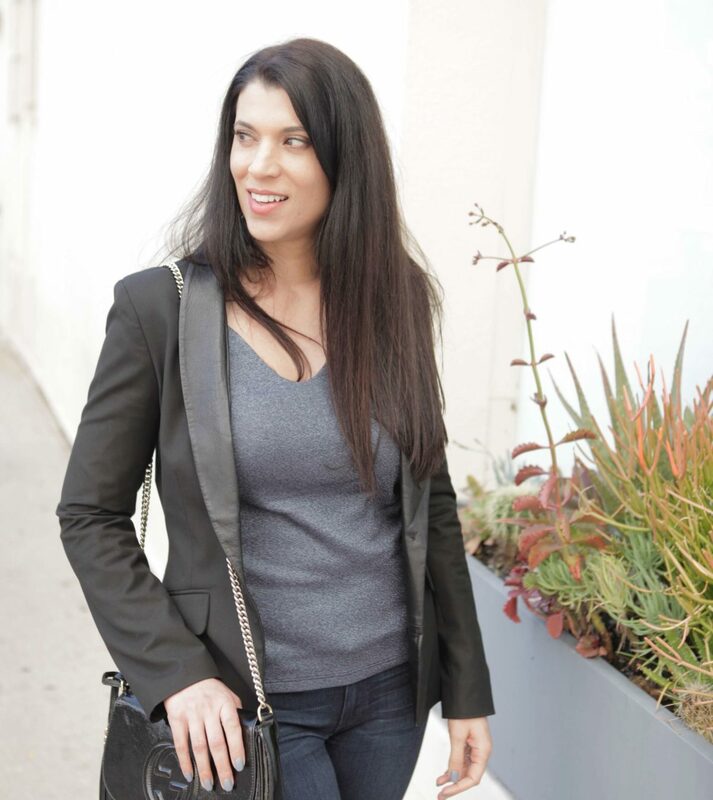 If you pair your classic blazer with jeans, it can be perfect for casual Friday. Just like the classic black pump, it should be a simple blazer of the highest quality that you can wear for several years. Avoid a cheaper polyester blazer and spend the money on a great wool, or wool blend. Americans typically wear a black or charcoal gray blazer and pair it with black shoes. I noticed on a recent trip to Italy that Italians typically wear a navy blue blazer and trousers with brown shoes. So, whatever color you choose, make sure it’s made from quality fabric that will last. These are equally as important as the black pump or blazer, if not more because you’ll probably wear these more than anything else. When I say flats, I mean any dress shoe that is not a pump. These could be a pair of oxfords, loafers, mules, or of course, a basic flat dress shoe. Choose what is best for your style of course, make sure they are made of the highest quality and will last. As I mentioned before, Americans will mainly wear a black and sometimes a charcoal gray trouser, while an Italian professional may prefer a navy blue one. I would say black is preferable, but it all depends on the other clothing pieces you’ll be wearing for your professional wardrobe. If you work in a more conservative office, you’ll probably wear several different colors, but in a more laid back setting you would not need as many. To get started, I would choose black, then once you find out the environment of the office, you can then decide if you need more than one or two pairs of trousers. 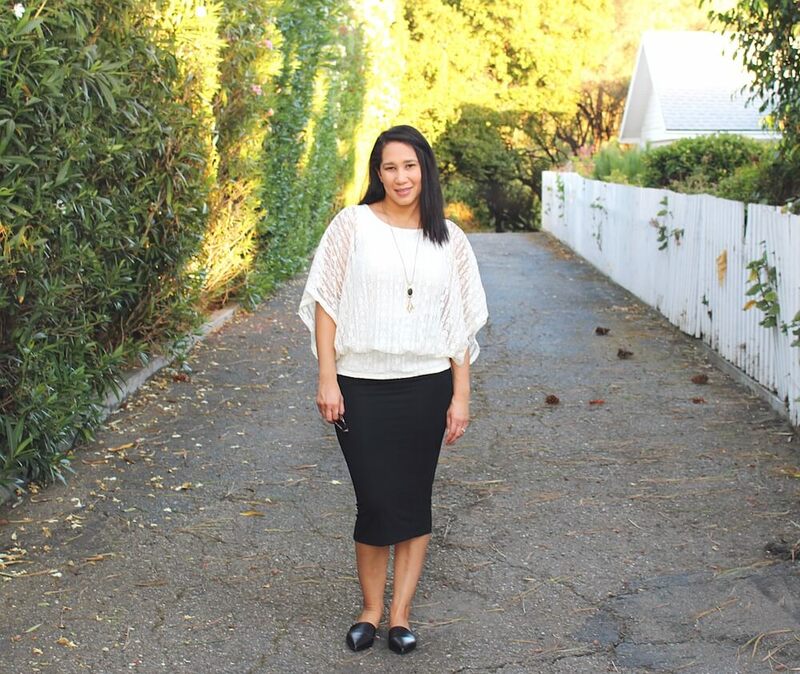 Here is Shelbi in a simple pencil skirt, off-white blouse and black flats. I would choose black to start off, but again, if you’re in a conservative setting where you need more professional pieces, you could have black and charcoal gray and other colors that work into your color palette. Getting a few solid colors without prints will be the best way for them to look more classic, but you’re always welcome to buy something with a print as well. I would find a high quality material such as silk or cotton and avoid polyester. A white button down shirt is always a classic. A casual shirt that looks good anywhere such as striped shirt. It looks good with a blazer, it looks great with a denim jacket, and it looks good all by itself. This is something I would consider getting because it’s multifunctional. A classic solid or printed scarf that goes with all of your professional attire as well as matching jewelry for the season will put together all of your outfits. You don’t have to wear them all at once, but you want to make sure they match. Just like a high quality shoe, you should have a classic high quality bag. You don’t want it to be too trendy because again, you want it to last. Again, this belt should be something that will last you a few years. I don’t particularly wear belts, which is why I say it’s optional, but if you do wear belts, get one that is simple that will last several years. Shelbi is the creator of Urban Girl’s Closet, a blog about building minimal capsule wardrobes for individuals living in small urban spaces. She strives to help city dwellers create functional wardrobes even if they have a tiny closet. Additionally, she is an advocate for high quality ethical clothing pieces that will last for 30 wears or more. 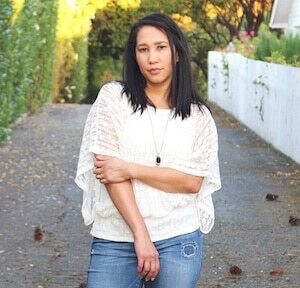 Shelbi lives with her son and husband in the San Francisco Bay Area.